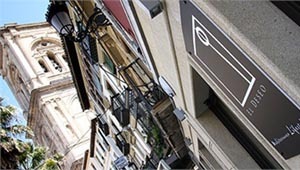 Enoteca, El Deseo Restaurant – Plaza de la Romanilla (Granada). At “El Deseo” restaurant we are aware that not everyone knows the best wine choices for each occasion, so our wines are described with adjectives that explain their personality and help us relate to them in order to play with our senses and make it easier to make a selection. You’ll find, for starters, Italian wines as the delicious Prosecco di Valdobbiadene, a Fun wine, or a more Elegant one such as Moscato Dolce. Natural, local wines stand out most in our restaurant. But first we need to know what natural wine means. Although there is no legal definition or agency to certify it, “El Deseo” restaurant breaks the rules by simplifying its definition: a natural wine is any wine made with little intervention, whether it is in the cultivation of vineyards or in its production in the winery to process it into wine. Therefore, it is a wine in all its splendour and flavour designed to be enjoyed with the best food and company. Especially noteworthy are El Muñana, an amazing wine, and Dominio de Atauta, which is Impressive in every sense.